We've had the Community Shield and however many preseason semi-tournaments you've never heard of in the past few weeks, but finally, at long last, actual real Premier League football is only a day away. With that in mind, players and teams have been going through their last minute preparations. New signings have been settling in, last minute friendlies have been played and players have been getting themselves ready for what's about to happen. In this last, frantic week Kyle Walker has been reunited with some of his old, more successful teammates, Lionel Messi and Francesco Totti have had a meeting of minds and Mario Balotelli has been playing with a hawk, obviously. 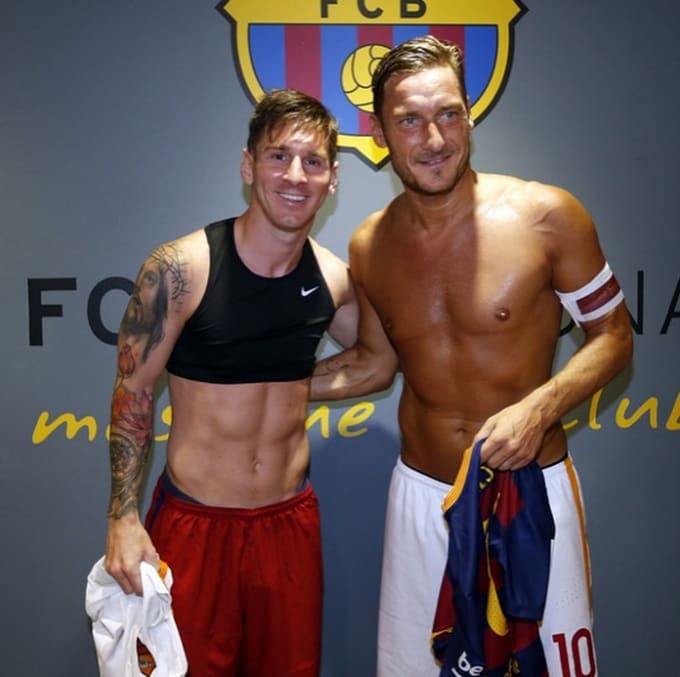 Here are the 25 best football pictures of the week on Instagram.